Leave-in conditioners are hair products that are applied and left on the hair until your next shower. For a lot of hairstylists, moisturizing hair is very important for hair-care, and leave-in conditioners are excellent moisturizers. There are a lot of leave-in conditioners available and choosing the right one for you can be challenging. There are many factors that we have to consider when selecting a leave-in conditioner such as ingredients, consistency, and pricing, but this article will help you narrow down your choices. We would like to help you out by reviewing the best leave-in conditioner for natural hair in 2017. We have selected the best reviewed products and we will take a look at their features as well as the pros and cons of each. The Unite 7Seconds Condition Leave in Detangle﻿r by UNITE offers UV and thermal protection. It claims to detangle all kinds of hair in 7 seconds. It’s A 10 Miracle Leave-In Plus Keratin has natural ingredients and can help revitalize damaged hair. The John Masters Organics Citrus & Neroli Detangler can be used as either a rinse-out or a leave-in. It leaves your hair shinier and fuller. This leave-in conditioner comes in both 2-oz. and 8-oz. bottles. It clears tangles and gives your hair its natural form fast. It has a rich supplement of moisturizers and light protein. This is good for chemically treated hairs such as hairs that are colored, bleached, permed, or relaxed. It also provides ultraviolet and heat protection which is useful for extended activities under the sun like hanging out at the beach or having a late morning jog. A good number of customers also find the scent fragrant. It is highly recommended for anyone looking for a light leave-in conditioner that can detangle hair fast. It is also free of parabens and sodium chloride. It works fast to detangle hair. It offers UV and thermal protection. It is usable for different hair textures. Its price point is on the upper end for an 8-oz bottle. The It's a 10 Miracle Leave-in comes in either 2-oz or 10-oz bottles. It is said to add shine, and control frizz. It can also be used as a restorative product to repair dry damaged hair, as a detangler, and as an agent to prevent split ends. It is made from natural ingredients such as sunflower seed extract, green tea leaf extract, silk amino acid, and citric acid. These combined give the hair a natural shield against environmental damage and antioxidants to keep it healthy. Customers find that you can use this on wet or dry hair and it replenishes lost moisture from exposure or excessive shampooing. The strong fragrance might be too overbearing for some even though it is a pleasant kind of odor. It repairs dry or damaged hair. It can be used on wet or dry hair. It has a strong fragrance that can annoy some users. The John Masters Organic Citrus & Neroli Detangler comes in 8 and 16-fl. Oz. bottles. This is a light formula that can be rinsed out or be used as leave-in. It has a combination of organic ingredients such as soy proteins, borage oil, amino acids, lemons, and neroli that can replenish lipids content, and restore hair strength and shine. It also has a refreshing aroma. This product is advertised for all types of hair but it is best for fine hair. With Vitamin B5, this can make your hair look thicker and fuller. It can be used as rinse out or leave-in. It has a refreshing aroma. It comes in scented and unscented variants. This product comes in an 8.5-oz bottle. It is a mixture of cocoa and soy that can strengthen and moisturize the hair. The protein ingredient leaves the hair soft and repairs damage. It is also safe to use on color-treated hair. Users say that this tri-wheat leave-in conditioner is very light on the hair and feels natural as if there was nothing applied at all. It leaves the hair hydrated and frizz-free. It is safe for color-treated hair. It is light and feels natural. The smell can sometimes be overbearing. 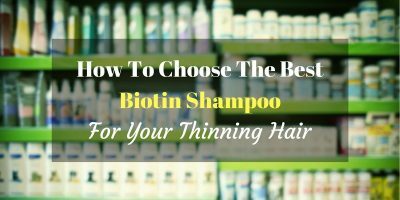 There is a wide variety of leave-in conditioners available in the market today, and choosing the right one that will work well on your hair can be difficult. Trial and error can effectively determine the best one for you, but the risk to this is a big consideration. We have shown you the top leave-in conditioners for 2017 and now we would like to talk about the several considerations when choosing the best one for you. Many hair conditioners contain oil that may be fairly dense and difficult to wash out. This leaves a heavy feeling on our heads. Leave-in conditioners tend to avoid oils and use glycerin to enhance moisture and prevent tangles. When picking a leave-in conditioner, check the ingredients list on the bottle or product label. You would want one with more natural ingredients in it. Look for a product that says it is “phthalate–free”. Phthalate is an industrial chemical that is used on PVC plastics and can have adverse effects to your health. There are certain ingredients to look for when shopping for leave-in conditioners. These are moisture-providing silicones such as cyclomethicone and dimethicone. Consistency is important for the product to effectively work on the hair. Emulsifiers are used to thicken leave-in conditioners to provide weight so hair can be styled and shaped to the user's desire. However, they are not the main ingredient responsible for hair conditioning. Products with a thicker consistency have ingredients that rest on the top layer of the hair fiber to make it lay flatter. This makes the hair feel softer and look shinier. However, the true conditioning agents that provide the ideal feel of the hair do not really affect the thickness or consistency of the product and may be found in lighter or thinner conditioners. A product is considered effective if it is absorbed into the hair and penetrates the cuticle layer. When buying the best leave-in conditioner for natural hair, price is also a factor. Several factors can influence this point such as the size of the bottle, the quantity of application, and the overall effectiveness of the product. 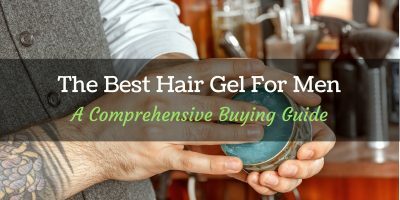 With leave-in conditioners, there isn't much of a large price gap between products so quantity is usually a selling point. Some products have smaller sizes that allow customers and users to try them out before committing to a bigger bottle. So, there you have the best leave-in conditioners for natural hair listed in no particular order. We have considered a lot of factors and features in helping you decide which one is the best choice. Ingredients, effectiveness, scent, and features that we liked and we did not like were taken into account as well as general customer feedback. All products that were chosen for this review are among the best in their category and would be excellent leave-in conditioners for natural hair regardless. However, taking into account the ingredients, features, and value, the clear choice would be Unite 7Seconds Condition Leave in Detangler by UNITE. With its fast detangling as well as thermal protection, it is highly reviewed by users as well. Its versatility is understated but it is indeed good for different kinds of hair, including hair that has undergone some kind of treatment.